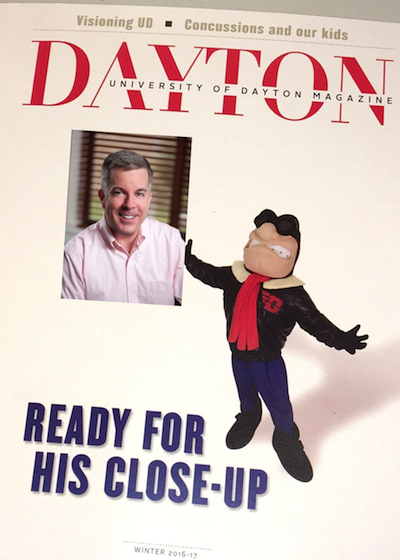 No this is not the REAL cover of University of Dayton Magazine. The guy in the pink shirt just pasted himself on there. What a goof! Maybe it was because the new President of the University of Dayton is, like me, a native of Buffalo, NY and a fellow graduate of Canisius High School. Maybe the University of Dayton Magazine wanted to profile someone who graduated 30 years ago. Maybe it was because I finally paid the fines on all those overdue Roesch Library books from 1986. Those are some of the answers I’ve given people who asked me how I got a profile article about my business in my university’s alumni magazine University of Dayton Magazine. My best guess reasons for getting the placement was a splash of creativity, timing and luck. Let’s flash back to late summer or early fall 2016. 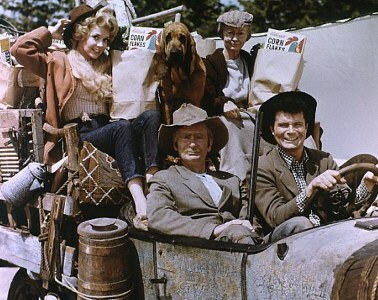 The O’Connells had made like the Clampetts and moved, but instead of moving to Beverly (Hills, that is, swimming pools, movie stars) we moved to Raleigh, NC (more accurately, Cary, NC but everybody knows Raleigh, so there). What one forgets, when one hasn’t moved in decades, is how many people need to be notified about ones change of address and what a pain that is to do. Oy! While doing all the mandatory address changes, I remembered the secondary groups I needed to convey information to about our move, one being my school alumni associations, which included the University of Dayton (Go Flyers!). 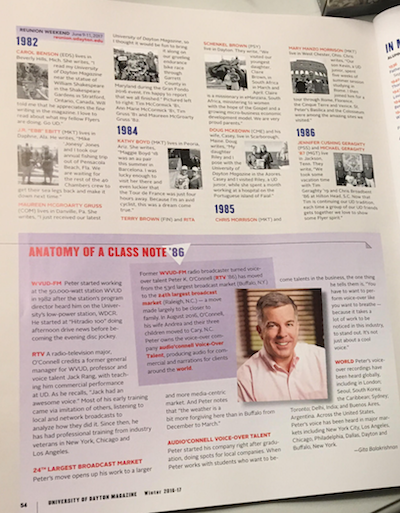 In addition to wanting to know where to send their donation requests (as all private high school and colleges do) schools also update the alumni notes section of their newsletters. I didn’t remember the last time I updated UD about me (not so very often) so the move seemed worthy of a note. I sat at the computer and composed a note. The initial drafts of what I wrote bothered me because they were plain and dull. “I moved from Buffalo, NY to Cary, NC just outside of Raleigh.” Really? That was the best I could do? Nah, I could do better. I could make it more fun and interesting than that. Editor’s note: WVUD-FM was a 50,000 watt commercial FM radio station owned by the University of Dayton until they sold it some years ago. My thinking was this new version was unique, fun and maybe interesting and informative…to somebody. At the very least it wasn’t boring. I sent it and promptly forgot about it. Some days later, I received a nice email from Gita Balakrishnan, who writes for University of Dayton Magazine, where the alumni notes are published. What’s the point of sharing all this with my fellow voice talent? I just want to present some thoughts for you to consider as you draft your 2017 marketing plan or while you just play tiddlywinks at your desk waiting for the phone to maybe ring with a new VO job. I don’t know what the publication numbers are for University of Dayton Magazine but simple math estimates easily assume there are certainly 100,000+ active living alumni to whom the University sends this publication. I really want to say there are more but let’s just use 100,000 as the number. If even .5% of those 100K UD alumni (@500) are somehow involved in media production, isn’t it worth a few minutes time to write a creative, 4-sentence promotional blurb, send it in for free and see what happens? (Hint: the answer is yes). My experience in interacting and advising a great many professional voice talents tells me they are generally deathly afraid of marketing and it’s tools, like public relations and publicity. The reasons range from lack of understanding about how to do it and what’s involved to the fact that marketing is too much like work (seriously). Universally, ALL of that same group are concerned about the expense of marketing. Public relations and publicity may cost you some time, but usually very little (if any) money. There was no guarantee that my 4-sentence email would turn into such a nice profile or that they would even print a sentence of it. There was a 100% guarantee NOTHING would be published if I didn’t send it. Some voice talents look at writing press releases about their business as embarrassing, because as a voice talent you are the business. So, in essence, you are just writing about ‘how great thou are’ when you’re writing something about your own business and it’s awkward. That’s very true. But remember, readers (press or the public) either don’t know or mostly don’t care who wrote the release – they are just reading it. They’ll discover the facts as they need them. Here’s my trick and maybe it will work for you too: when writing a press release or presenting a story idea about your “business” (which, again, is you), think about yourself as. a. business. When you write your personal name in the release or pitch, you write “John Smith” but you should perceive it in your head as writing “The John Smith Company”. There, now you’re not an individual, you are an entity. People write releases about entities all the time! I respect humility more than you could possibly know and I too feel extremely awkward about writing about myself in releases. But the bank respects my monthly mortgage payment more than my humility. So if publicity helps me make more money to pay that mortgage, then I will use my little trick to get past my internal awkwardness and just cash the checks from any business my small PR efforts get for me. Alumni groups are one such group, churches are another, charities you work with are another. Of course there are more if you just think about it, it’s your life. Make a list! You read newspapers, listen to the radio, watch local TV….they need content to fill their paper and airwaves. Is there a story idea or an angle you could offer them with some service you offer or some project you’ve worked on or a client you’ve secured that the public might find interesting and unique? 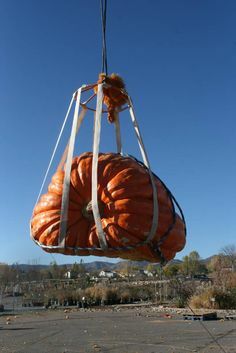 Is what you do, the services you offer and the projects & clients you’ve worked with/on more interesting than an 800lb pumpkin? Because I see TV crews and radio stations covering pumpkin weigh-offs like the darn Super Bowl at Halloween. So I think you might have some angle on your business that someone in the media might want to cover too. I think at least SOME of what we do is more interesting than an 800lb pumpkin. But you have to do the research and the legwork. You have to look up the contact information for all the media outlets in your area. You have to make those editor or reporter calls to pitch your idea or write that email. You have to learn how to write a professional press release (it’s NOT hard). You have to think about what you do and how to translate that into an interesting pitch for an article in the business section of your newspaper or even the lifestyle or sports section. You may perform as a voice talent but you’re really a business owner. Instead of fretting about where your next job is coming from, how about focusing on expanding your audience now…without much if any expense and see what that leads to. It will be more productive than fretting. I hope this helps. Oh, and that 4-sentence blurb I sent to UD Magazine evolved into this…. Former radio broadcaster (WVUD-FM) turned voice-over talent Peter K. O’Connell (RTV, ’86) has moved from the 53rd largest broadcast market (Buffalo, NY) to the 24th largest broadcast market (Raleigh, N.C)—mostly because it’s warmer. 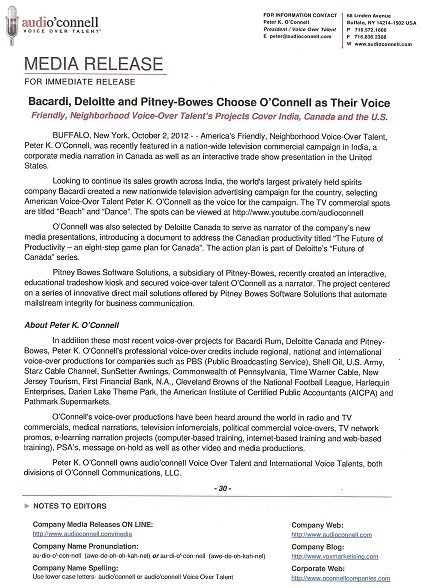 In August 2016, O’Connell, his wife Andrea and their 3 children moved the clan to Cary, N.C. Peter owns his popular voice-over company, audio’connell Voice-Over Talent producing audio for commercial and narrations for clients around the world. WVUD-FM—Peter started working at WVUD in 1982 after the station’s program director heard him on the University’s carrier-current station, WDCR. He started at “Hitradio 100” doing afternoon drives news before later coming the evening disk-jockey. RTV— A radio television major, O’Connell credits a former General Manager for WVUD, professor and great voice talent, Jack Rang, with teaching him commercial performance at UD. 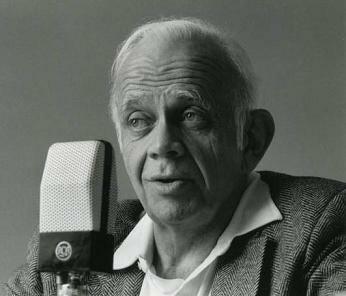 As he recalls, “Jack had an awesome voice.” Most of Peter’s early training came via imitation of others, listening to local and network broadcasts to analyze how they did it. Since then, he has had professional training from talented industry veterans in New York, Chicago and LA. World—Peter’s voice-over recordings have been heard globally including London, England; Seoul, Korea; the Caribbean; Sydney, Australia; Toronto, Canada; Delhi, India and Buenos Aires, Argentina. Nationally across the United States, Peter’s voice has been heard in all major markets including New York City; Los Angeles, California; Chicago, Illinois, Philadelphia, Pennsylvania; Dallas, Texas; Dayton, Ohio and Buffalo, New York. BUFFALO, NY, March 10, 2016 – – Voice-Over Talent Peter K. O’Connell, whose voice has been heard on in-game commercials and promotions for many professional and colligate sports teams, has now added the National Lacrosse League (NLL) to his ‘list of leagues’ with his latest commercial voice-over project. O’Connell’s voice was featured on an in-arena commercial on behalf of Buffalo-based VeraView. Veraview is the Official Video Conferencing Partner of the National Lacrosse League. Shown during game breaks at home games for the Buffalo Bandits and Rochester Knighthawks, the spots included players Ryan Benesch of the Buffalo Bandits and Matt Vinc of the Rochester Knighthawks. Founded in 2000, Veraview offers a diverse and experienced team of communications, network, and audio and visual professionals that understand today’s cutting edge applications and ever changing technologies. From a single room to an entire building, Veraview provides complete solutions tailored to meet your needs today while planning for tomorrow. Veraview’s communications solutions include video conferencing, recording and streaming, digital signage and presentation technology. Veraview’s audio and visual solutions enable multi-media presentation and collaboration. Veraview’s automation and control designs provide a seamless integration across systems. Veraview’s partnerships with leaders in global technology such as Microsoft, Polycom, and Crestron enable Veraview to provide a “best of breed” approach with your project and budget in mind. America’s Friendly, Neighborhood Voice-Over Talent, Peter K. O’Connell, has worked with a wide variety of companies from around the world in addition to this most recent commercial project for Veraview as well as the National Lacrosse League’s Buffalo Bandits and Rochester Knighthawks. Some of Peter’s clients include General Electric, Kraft Foods, PBS Television Network, Shell Oil, Pitney Bowes, Western Union, Bacardi Rum, Highlights HIGH FIVE Magazine, Deloitte Canada, Rich Products, U.S. Army, Starz Cable Television Network, BlueCross BlueShield, SunSetter Awnings, Time Warner Cable, Harlequin Enterprises and Darien Lake Theme Park. Described as a natural born storyteller, Peter K. O’Connell’s voice-over productions have been heard globally in radio and TV commercials, medical narrations, television infomercials, political commercial voice-overs, TV network promos, e-learning narration projects (computer-based training, internet-based training and web-based training), PSA’s, message on-hold, as well as other video and media productions. 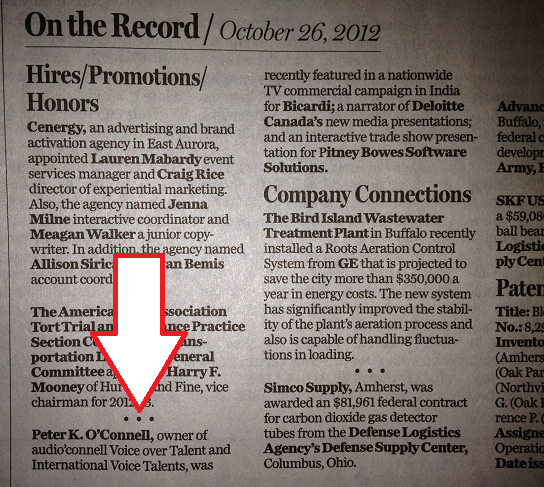 Peter owns audio’connell Voice Over Talent, a division of O’Connell Communications, LLC and can be reached via audioconnell.com. You are…to every man, woman and child that I know earning a living in the voice-over profession…all talented people of good heart. If you’re not, well, you fooled me. Your Christmas and holiday messages to your clients and peers are NOT the time to wish us well AND let us know your holiday schedules and availabilities. When you do this cringe-worthy act, you unwittingly come off as insincere and desperate as well as seemingly ignorant about what this holiday season is all about for most of the world. 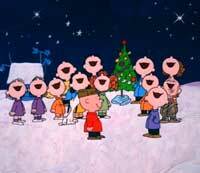 HINT: This holiday season is NOT about you getting more voice-over jobs. In this one message to your clients at a time of year steeped in a variety of religious traditions for people of numerous faiths that most all people still hold sacred – be real. Offer your wish, your hopes or just a simple message of good will. Then stop. It’s not a marketing opportunity. It’s not a scheduling opportunity. If clients need you, they will find you and you will work. A competitor won’t tell you about your very awkward yet not career-ending mistake. As has been noted in this space, I am a fan of Arby’s (though not of their new, hideous logo). So it was there last Friday I found myself having a pleasant lunch alone watching ESPN and reading the Buffalo News. I don’t get time to read the paper very often (yes I am old school, I do read the paper) so when I do get to read it, it’s a nice treat. It is the STRANGEST experience to be reading the newspaper and completely unexpectedly come across one’s own name. I sent out a release some weeks ago and forgot about it. Then while scanning the paper just nowâ€¦bam! Well, at least it was good news. I had completely forgot about the release I had written, I didn’t even follow up with the various editors to make sure they received it (breaking one of my own rules). So it was a bit like Christmas morning and the nice little gift was there before my eyes. The joy lasted about a second until I read the article closely, after the fog of excitement had passed. You may never have heard of an international spirits company called ‘Bicardi’; you may not know how well they are known for their rums. And that’s because there isn’t and they aren’t. Well first, some perspective. It’s a big deal to me that they got this wrong. It deflates the media impact to potential clients who would read such a press announcement and might be impressed enough to hire me. That’s a real issue. Worse for my fragile ego, my Jeffersonian-like wordsmithing of this release had the legs knocked out from underneath it because of a single typo. (To be clear, it’s probably closer to George than Thomas). Now more perspective. It’s a newspaper with thousands of words and millions of letters…mistakes happen. Today it was my turn be sitting under the bird at the most inopportune and fairly public moment. So I sent an email to the business editor, thanking him for publishing but pointing out the mistake and asking him if he would please re-publish the correct version in a future edition of the paper (it truly didn’t matter to me whether it was next week or next year). The response I got was a polite no. So what’s the point? Was there still any value to this press release or did the typo result in a wasted opportunity? What can be learned here? The short answer is – it was out of my hands. Even if I had called to follow up on the release after I sent it (which I should have) that would not have precluded whomever typed in the story from making the typo and being too sloppy to fix it. I cannot control human error and having my own Master’s Degree in it, I suppose I cannot throw stones. The value of the release was certainly muted to a large degree because of the branding typo by the newspaper but it was probably not all lost. For one thing, there are two other very prominent brands featured in the release and they spelled my name and the company name correctly. 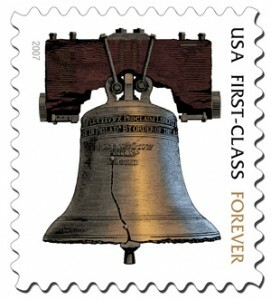 Further, the editor noted that he fixed the error in the online version. This was kind of him to be sure but the down side is their web version newspaper is now paid only and I don’t think paid web subscriptions are lighting up the phone lines. In the scheme of business, it is more disappointing and embarrassing to my brand than anything else. Not major harm was done but it does feel like a missed opportunity. But I take heart that this release is but a small part of my marketing efforts and those same efforts go alot further than the Nickel City. Onward and upward. I like one of those things. But my agent and friend Erik Sheppard likes both of those things because, well, he’s a bit of a freak (not a bad quality in an agent). 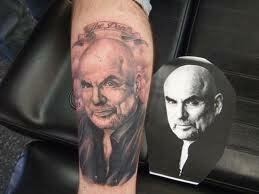 You may have heard about Erik’s Don LaFontaine tattoo…well he’s at it…or guess inking it again. But this time my shy, reticent agent (ha!) got his latest tattoo broadcast on national television (TLC). I’m not much of a tattoo guy myself but I thought this was kinda cool…especially since it was somebody else getting drilled.